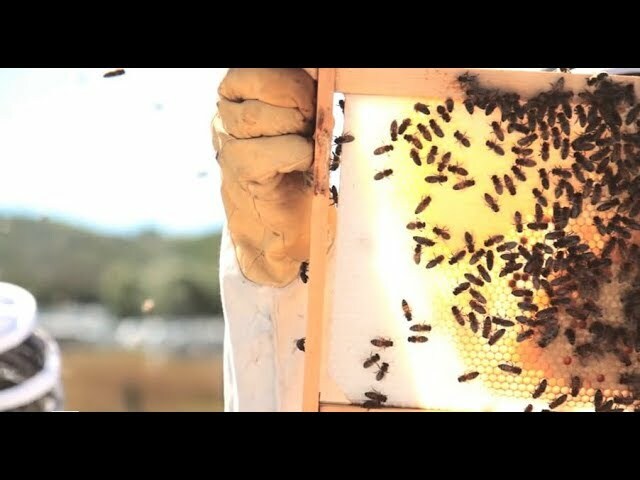 Every year Eliese Watson, founder of ABC Bees, goes on a trip to visit peers in the world of treatment free beekeeping. Last year she spoke at HoneyLove.org’s Treatment Free Conference in Los Angeles. 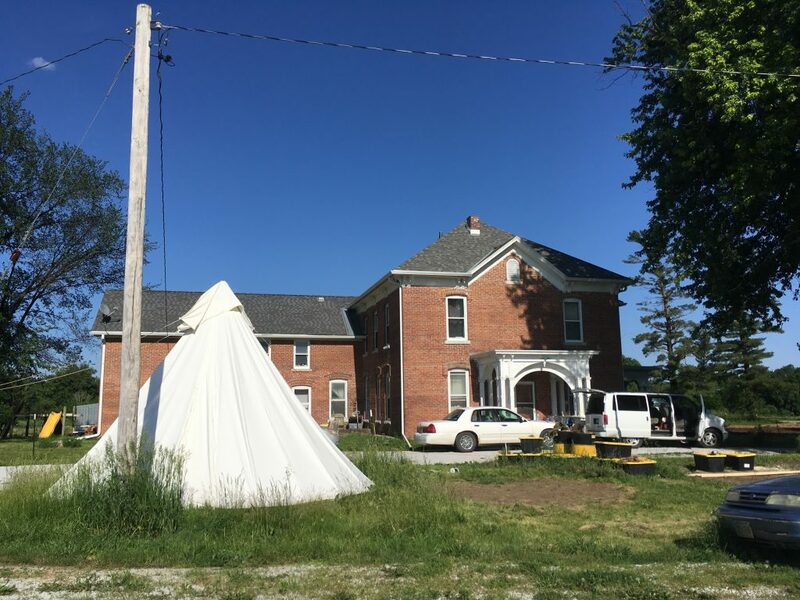 This year she was invited to visit Michael Bush (famed beekeeper and researcher of treatment free, small cell management, author of The Practical Beekeeper). Having a passion for honey bees, supporting beginner basics in beekeeping education, and strong advocates for beekeeping without chemicals, they became fast friends when meeting at beekeeping conference. Here is a snap shot of the experience and what she learned! 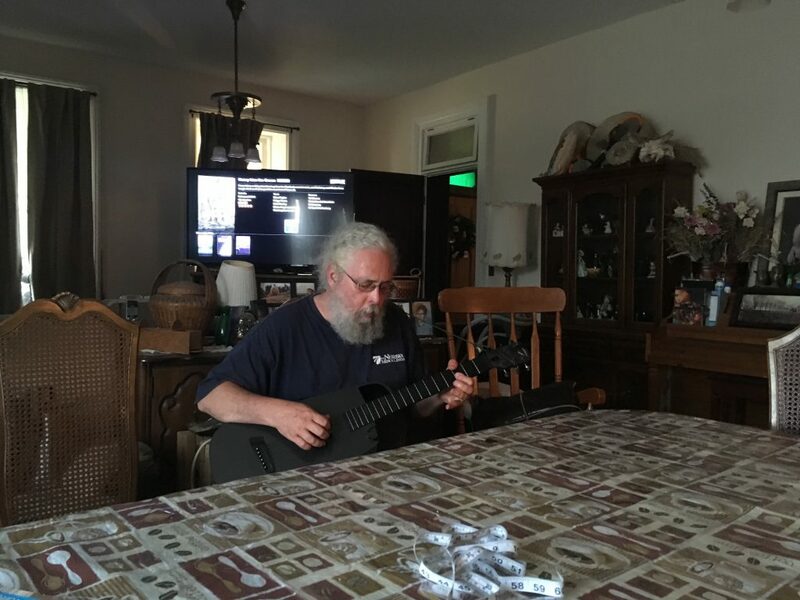 When I went down to visit Michael Bush, I was in a desperate rush to be in a position to leave. 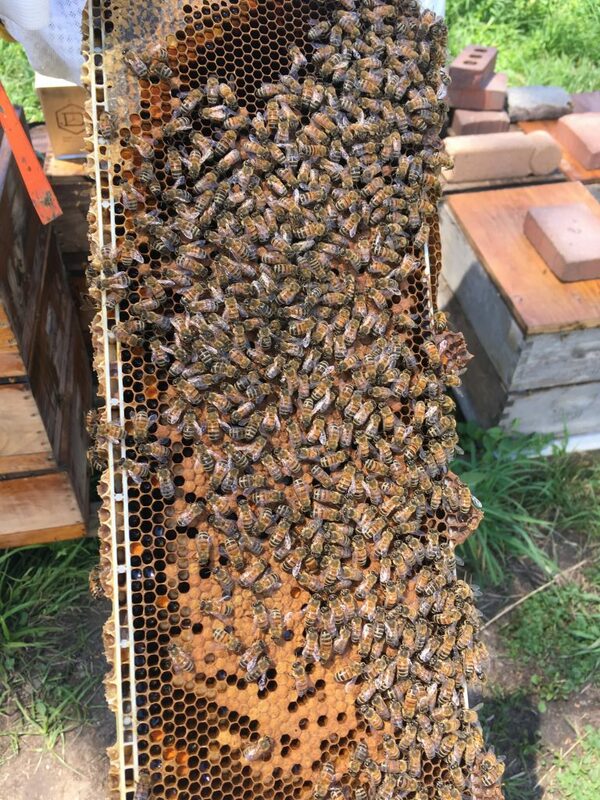 We at ABC Bees are now running almost 100 colonies, 30 of which are in the city of Calgary. 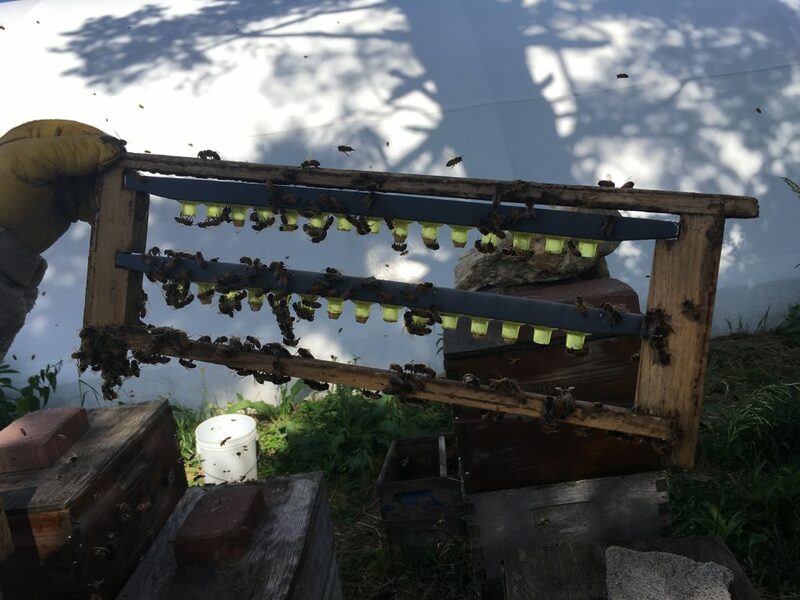 With queen rearing, splitting, and supering, I was burning the candle at both ends to ensure that I didn’t lose swarms while I was gone (which was successful against all odds, the bees always swarm when I take a vacation in the summer!). 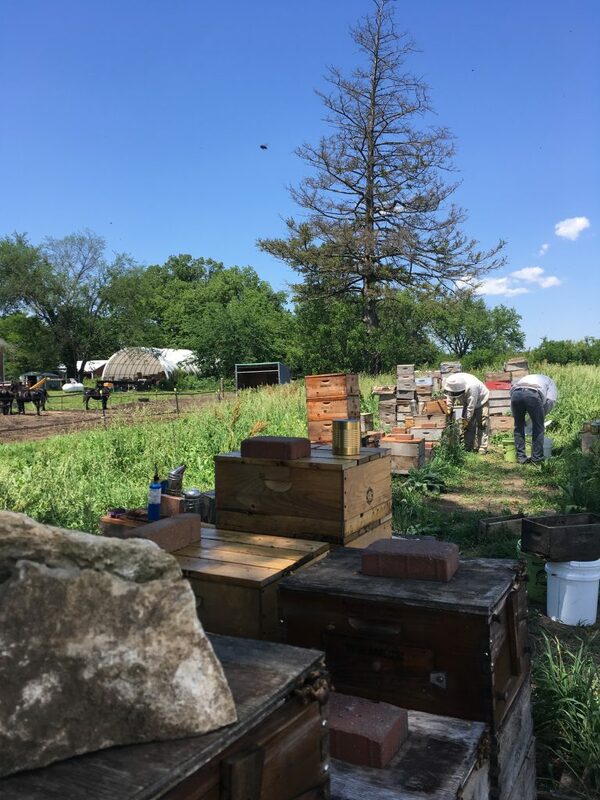 I went with a beekeeping cohort and friend Mike Crape of Two Pine Apiaries, and when we landed in Omaha, NE, we weren’t really sure what to expect. Michael Bush had said that he had lost his interns for the season through romance and travel plans, and also because the committed because umcommitted and didn’t even show! So, we were ready to help where we could in the 6 days we were to be on the farm, and hopefully, learn a few tricks of the trade and scheme some opportunities in partnership. We worked, and we worked hard. 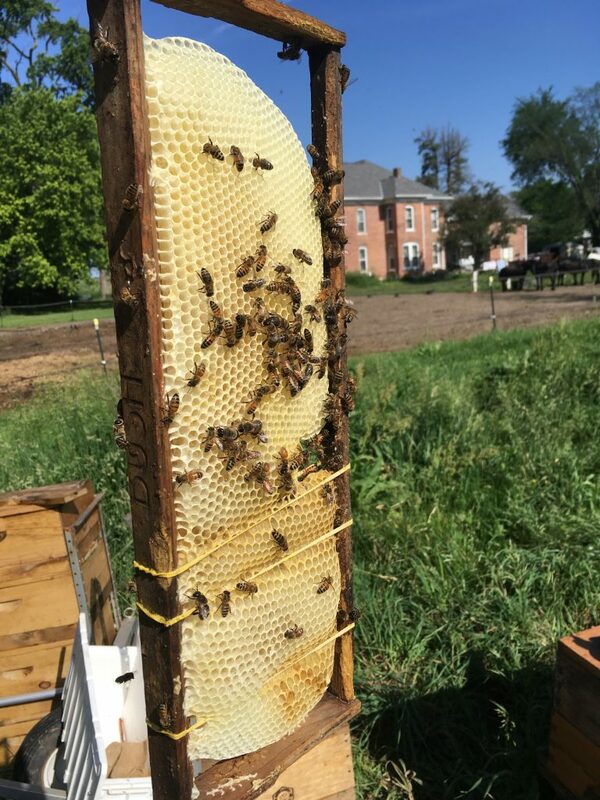 We grafted, caught, marked, and inspected queens in the Bush Farms Apiary. 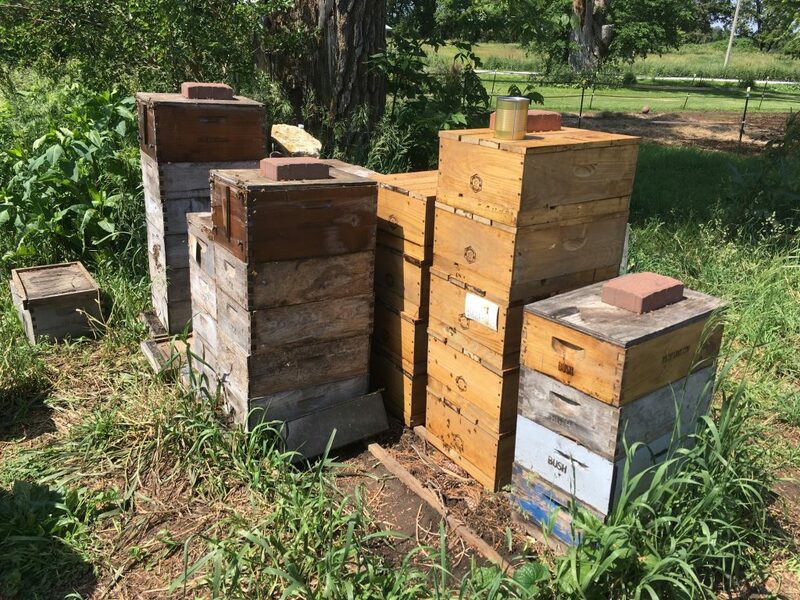 Working with the famous 8-frame medium hives that are growing in popularity in Alberta because of Dustin Bajer (Edmonton, AB) workmanship and marketing and observing the smaller bees blooming out of small cell foundation was fun. A skill I learned, which I had never done nor observed was box dipping in beeswax and tree resin. 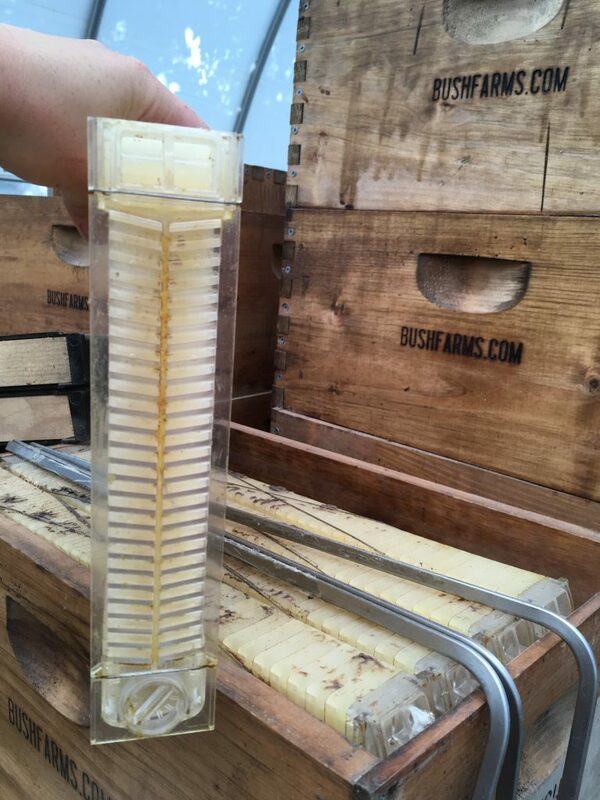 It was amazing to see the bees come and rob the freshly dipped boxes of their resin. As Michael Bush said, he knew he was on to something good if the bees wanted to steal it from him. What struck me the most was Michael’s eagerness to have enthusiastic conversation about industry and his impact on it without ego. 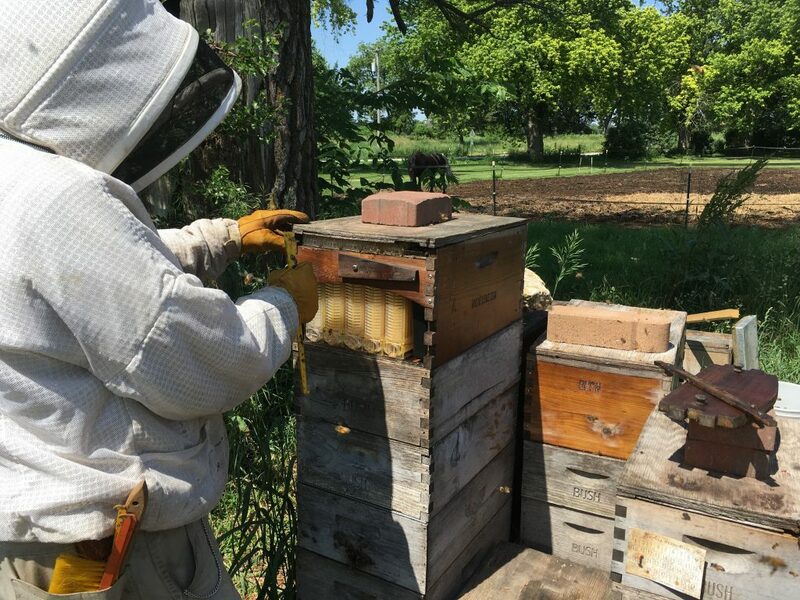 He is always open to new ideas and strategies in beekeeping. 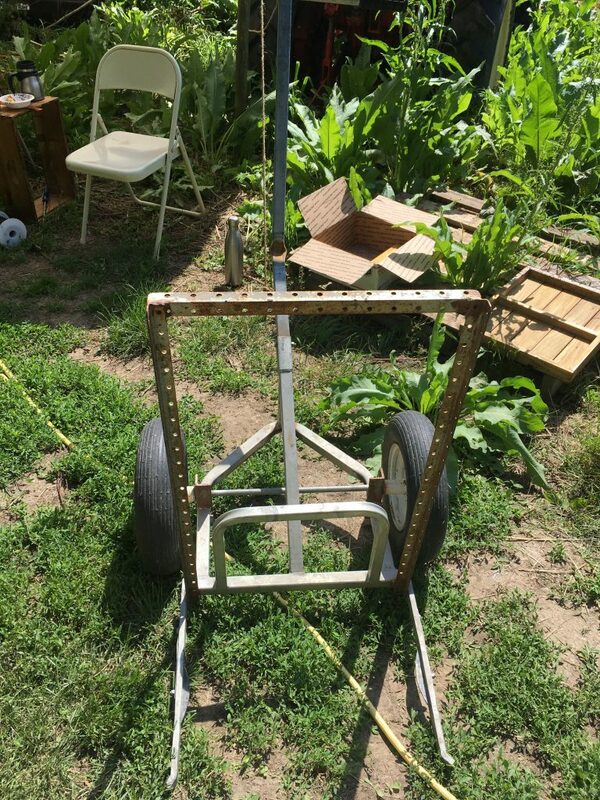 I think that is what makes him such a good beekeeper, friend, and advocate for Treatment Free beekeeping…. he is always learning and growing. As for collaboration, keep your ears to the ground. You will be seeing Michael up here soon to chat, run workshops, and beekeep with us in Alberta in 2018!